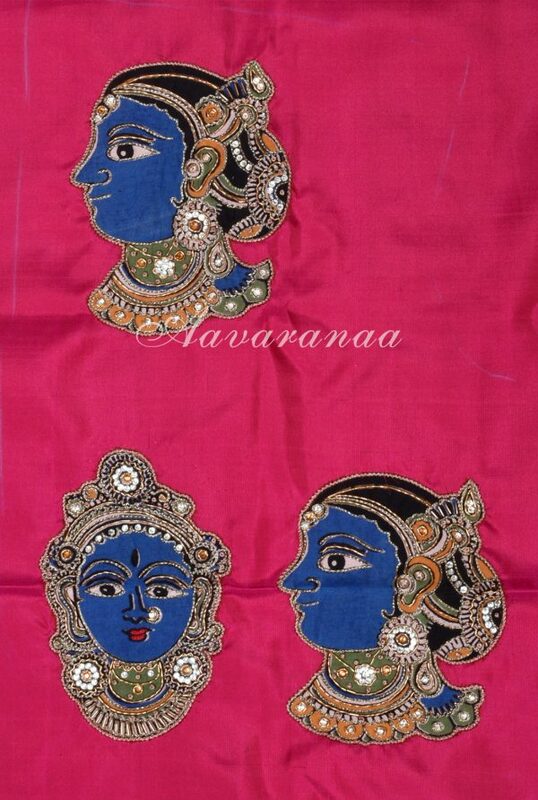 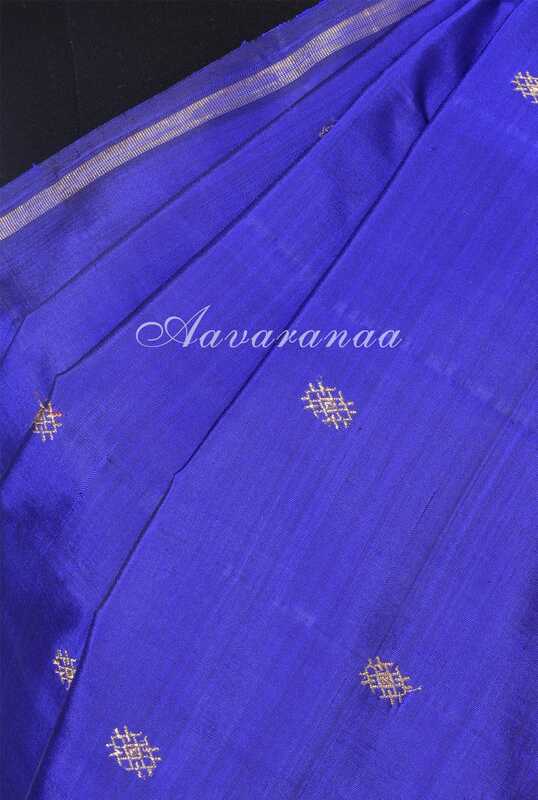 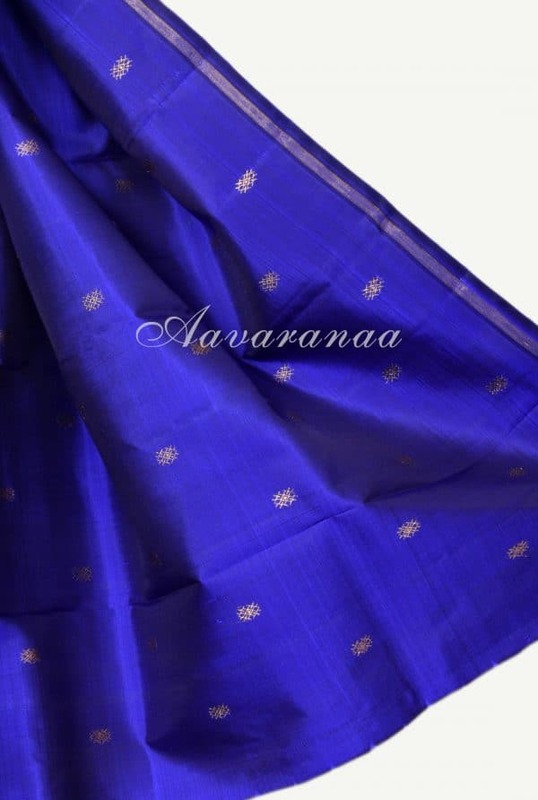 Blue and pink half and half style kanchi silk saree. 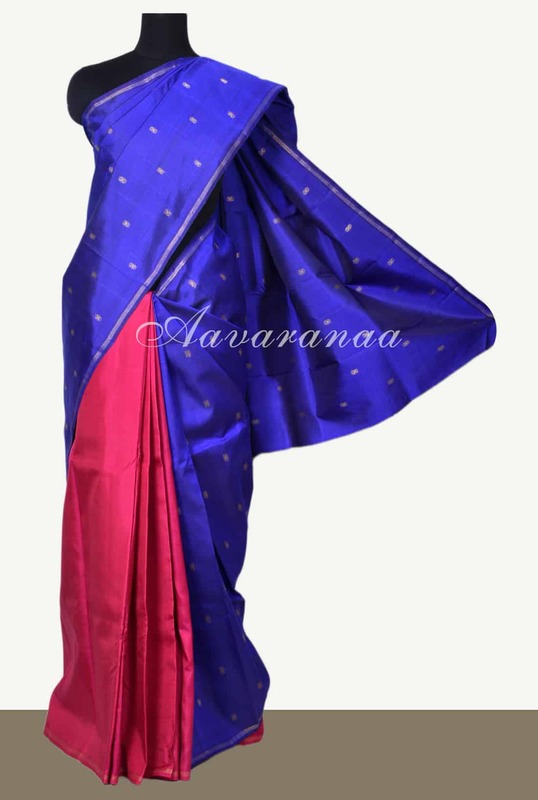 The blue part with zari buttis and plain pink half. Blouse : Pink silk with kalamkari faces applique embroidery at the back and front right shoulder.